Rover 75 Front Shocker Top Mount & Bearing. Sale is for 1 item. Picture is just to show top and bottom. Montaje superior de Shocker frente de Rover 75 y rodamiento. Venta es por 1 artículo. Cuadro es mostrar la parte superior e inferior. The English Courts shall have jurisdiction to hear disputes between us. Best of Rover Spares LTD. Prices remain in force until we publish new prices on our website. We reserve the right to restrict the number of products you may order and to refuse any order. 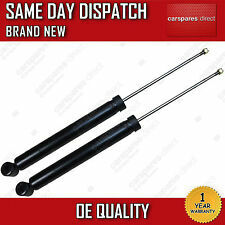 2 Rear Gas Shock Absorbers. Gas Pressure. FAILURE TO PROVIDE INFORMATION WILL DELAY YOUR ORDER. Bottom eye. Add Us To Your favorites list ! GASSHOCK ABSORBERS (SHOCKERS). ROVER 75 1.8 2.0 2.5. YOU ARE BUYING. ALL MODELS. Rover 75 Front Shocker Top Mount & Bearing. Fits either side. Código interno: 1085239. Amortiguador trasero izquierdo MG ROVER SERIE 75 2.0 CDT Classic, Año: 1999. Referencia : RND102220. Please read full listing description carefuly before you order to make sure the part does fit your car. 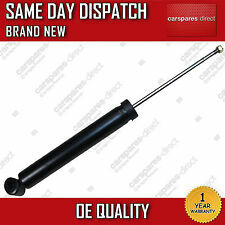 - ROVER 75 ALL MODELS FRONT SUSPENSION 2 GAS SHOCK ABSORBER SHOCKERS NEW. ROVER - 75 (RJ) - 2.0 CDTi 02.03 - 05.05 Saloon. ROVER - 75 (RJ) - 2.0 CDT 02.99 - 05.05 Saloon. ROVER - 75 (RJ) - 2.0 V6 02.99 - 05.05 Saloon. ROVER - 75 (RJ) - 2.5 V6 02.99 - 10.01 Saloon. ROVER - 75 (RJ) - 2.5 V6 10.01 - 05.05 Saloon. 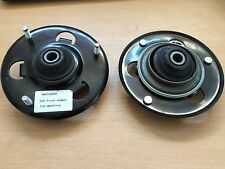 2 X MONROE FRONT SHOCK ABSORBERLEFT RIGHTFITS: ROVER - 75 (RJ) - 1.8 02.99 - 05.05 Saloon 88 120 1796 ROVER - 75 (RJ) - 1.8 Turbo 05.03 - 05.05 Saloon 110 150 1796 ROVER - 75 (RJ) - 2.0 V6 02.99 - 05.05 Saloon 110 150 1997 ROVER - 75 (RJ) - 2.5 V6 02.99 - 10.01 Saloon 129 175 2497 ROVER - 75 (RJ) - 2.5 V6 10.01 - 05.05 Saloon 130 177 2497 ROVER - 75 (RJ) - 2.0 CDT 02.99 - 05.05 Saloon 85 115 1950 ROVER - 75 (RJ) - 2.0 CDTi 02.03 - 05.05 Saloon 96 131 1951 PLEASE SEND EBAY MESSAGE TO CONFIRM CORRECT FITMENT WITH YOUR VECHICLE BEFORE PURCHASING WILL NOT WILL. Good Used Shocks from MG ZT / Rover 75s. Priced individually, have many available. Amortiguador trasero izquierdo MG ROVER SERIE 75 2.0 16V cdt, Año: 2000, Observaciones: sin muelle. Somos un CAT (Centro Autorizado de Tratamiento de Vehículos) y también proveemos de piezas de desguace online con un amplio catálogo. 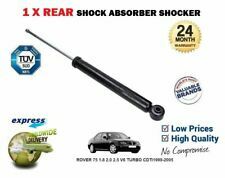 1 x FRONT LEFT SHOCK ABSORBER FITS Model Year Body Style kW HP cc ROVER - 75 (RJ) - 1.8 02.99 - 05.05 Saloon 88 120 1796 ROVER - 75 (RJ) - 1.8 Turbo 05.03 - 05.05 Saloon 110 150 1796 ROVER - 75 (RJ) - 2.0 V6 02.99 - 05.05 Saloon 110 150 1997 ROVER - 75 (RJ) - 2.5 V6 02.99 - 10.01 Saloon 129 175 2497 ROVER - 75 (RJ) - 2.5 V6 10.01 - 05.05 Saloon 130 177 2497 ROVER - 75 (RJ) - 2.0 CDT 02.99 - 05.05 Saloon 85 115 1950 ROVER - 75 (RJ) - 2.0 CDTi 02.03 - 05.05 Saloon 96 131 1951. 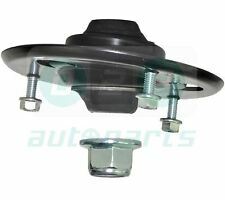 ROVER 75 RJ 2.0D Top Strut Mounting Front 99 to 05 B&B. ROVER 75 Tourer (RJ) 1.8 Estate Petrol 08/2001 05/2005 FWD 16 120 88. ROVER 75 Tourer (RJ) 1.8 Turbo Estate Petrol 05/2003 05/2005 FWD 16 150 110. 1 x FRONT RIGHT SHOCK ABSORBER FITS Model Year Body Style kW HP cc ROVER - 75 (RJ) - 1.8 02.99 - 05.05 Saloon 88 120 1796 ROVER - 75 (RJ) - 1.8 Turbo 05.03 - 05.05 Saloon 110 150 1796 ROVER - 75 (RJ) - 2.0 V6 02.99 - 05.05 Saloon 110 150 1997 ROVER - 75 (RJ) - 2.5 V6 02.99 - 10.01 Saloon 129 175 2497 ROVER - 75 (RJ) - 2.5 V6 10.01 - 05.05 Saloon 130 177 2497 ROVER - 75 (RJ) - 2.0 CDT 02.99 - 05.05 Saloon 85 115 1950 ROVER - 75 (RJ) - 2.0 CDTi 02.03 - 05.05 Saloon 96 131 1951. Part Number:RPD000240 [J]. Model: Rover 75 Tourer. Part: Rear Self Leveling Shock Absorber. ROVER 75 (RJ) 1.8 Saloon Petrol 02/1999 05/2005 FWD 16 120 88. ROVER 75 (RJ) 1.8 Turbo Saloon Petrol 05/2003 05/2005 FWD 16 150 110. KYB is the worlds largest manufacturers of OE shock absorbers, with 1 in 4 vehicles leaving production lines with KYB as standard. ROVER RPF100060. ROVER 75 Tourer (RJ) 1.8 Estate Petrol 08/2001 05/2005 FWD 16 120 88. ROVER 75 Tourer (RJ) 1.8 Turbo Estate Petrol 05/2003 05/2005 FWD 16 150 110. ROVER 75 Tourer (RJ) 2.0 CDT Estate Diesel 08/2001 05/2005 FWD 16 115 85. ROVER 75 RJ 2.0D Top Strut Mounting Front 99 to 05 Firstline. ROVER 75 Tourer (RJ) 1.8 Estate Petrol 08/2001 05/2005 FWD 16 120 88. ROVER 75 Tourer (RJ) 1.8 Turbo Estate Petrol 05/2003 05/2005 FWD 16 150 110. Pair Of Boot Struts - Saloon Model - In Good Working Order. Your item will need to be signed for. Compatibility is a guide only. Other Details. TRIM LEVEL. Part Number. Please read full listing description carefuly before you order to make sure the part does fit your car. - ROVER 75 SALOON 99-05 REAR SUSPENSION 2 SHOCK ABSORBERS SHOCKERS NEW. KIT PUNTAL AMORTIGUADOR DE PRIMERA CALIDAD. ROVER 75 (RJ) 2.0 CDTi. YOU GET 2X SHOCK ABSORBERS FOR REAR. ROVER 75 (RJ) 2.0 V6. ROVER 75 (RJ) 2.5 V6. ROVER 75 (RJ) 1.8. ROVER 75 (RJ) 1.8 Turbo. ROVER 75 (RJ) 2.0 CDT. GENUINE 'MONROE REFLEX SHOCKS. GASSHOCK ABSORBERS (SHOCKERS). ROVER 75 1.8 2.0 2.5. YOU ARE BUYING. Código interno: 1916176. Amortiguador trasero izquierdo MG ROVER SERIE 75 TOURER 2.0 CDTi Classic, Año: 2003. Referencia : 343475. 2.0 CDTi (96 kW ; 02/2003 - ). 2.0 V6 (110 kW ; 02/1999 - ). 2.5 V6 (129 kW ; 02/1999 - 10/2001). 2.5 V6 (130 kW ; 10/2001 - ). · Original Specification unit. · Top pin, Bottom eye. Sachs (For Reference Purposes Only): 311242. 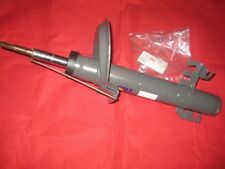 1 x ROVER 75 (RJ) 1999-2005 REAR SHOCK ABSORBER LEFT OR RIGHT SIDE. Quantity- 1 pc (left or right).